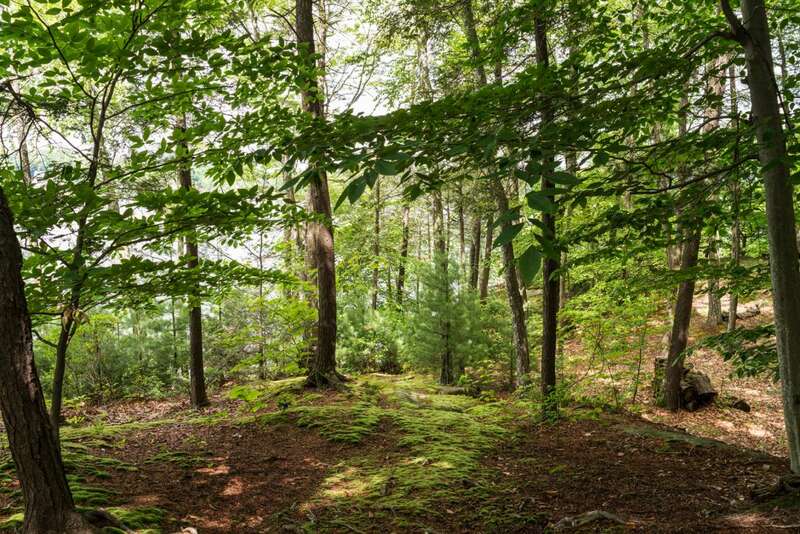 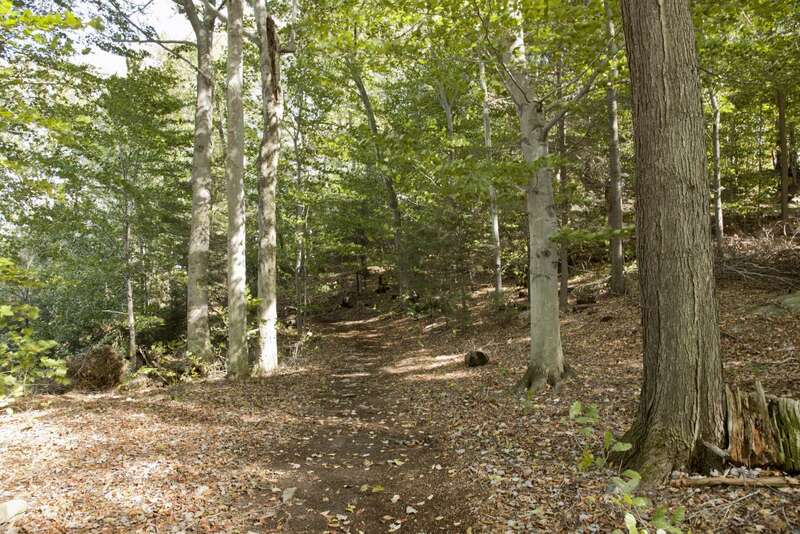 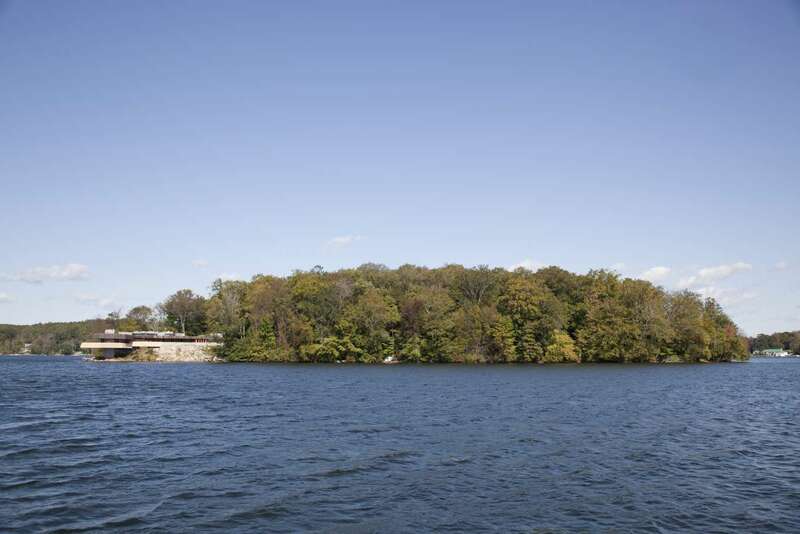 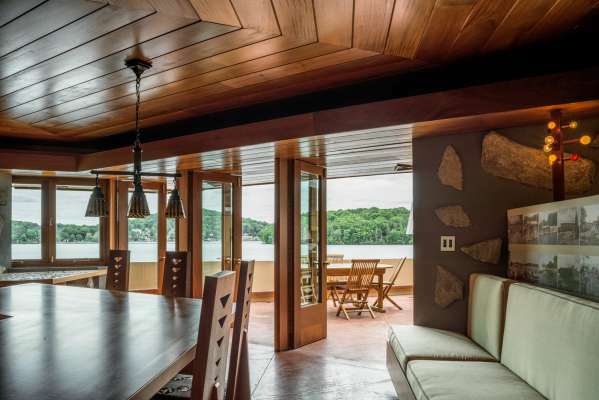 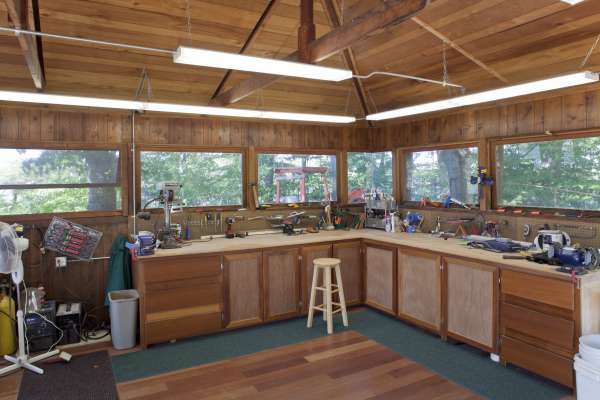 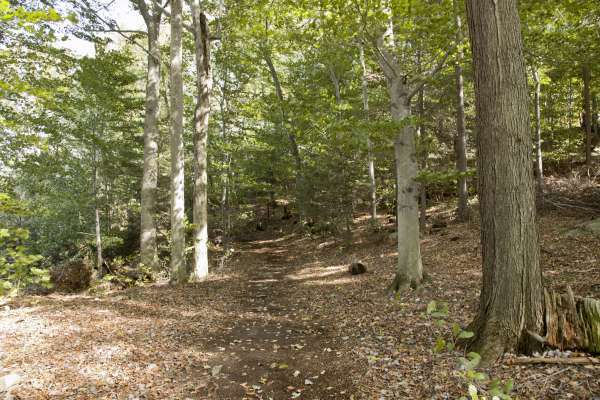 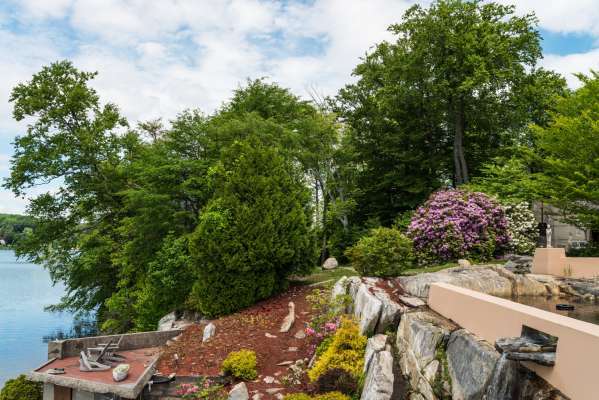 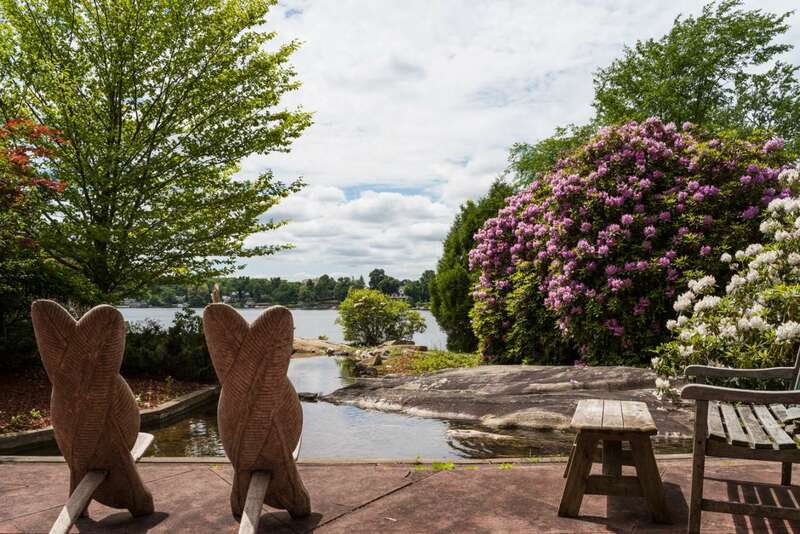 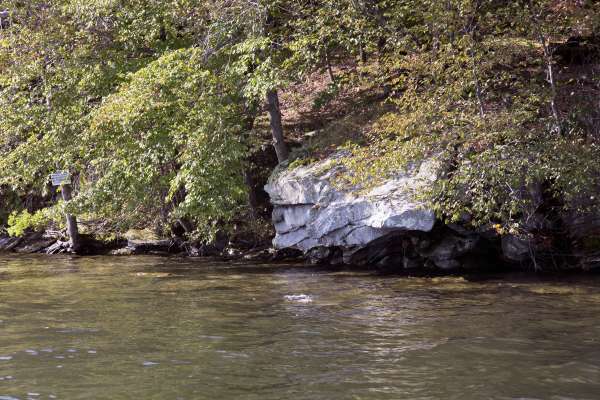 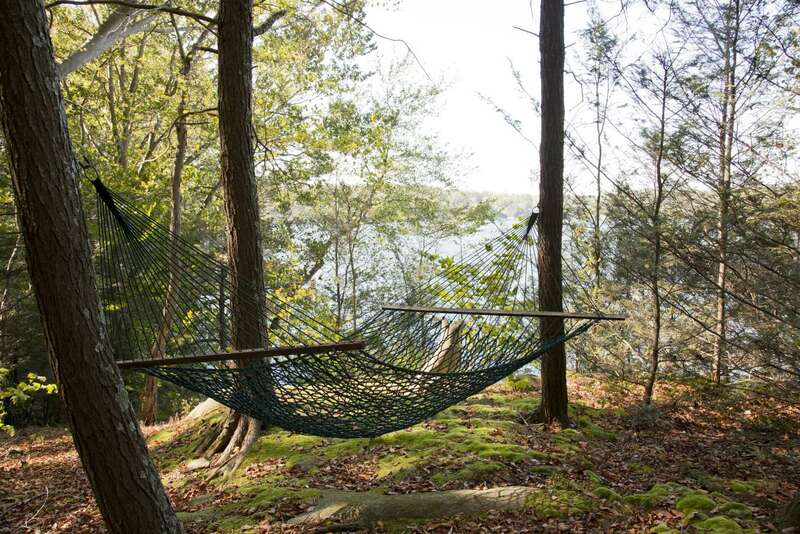 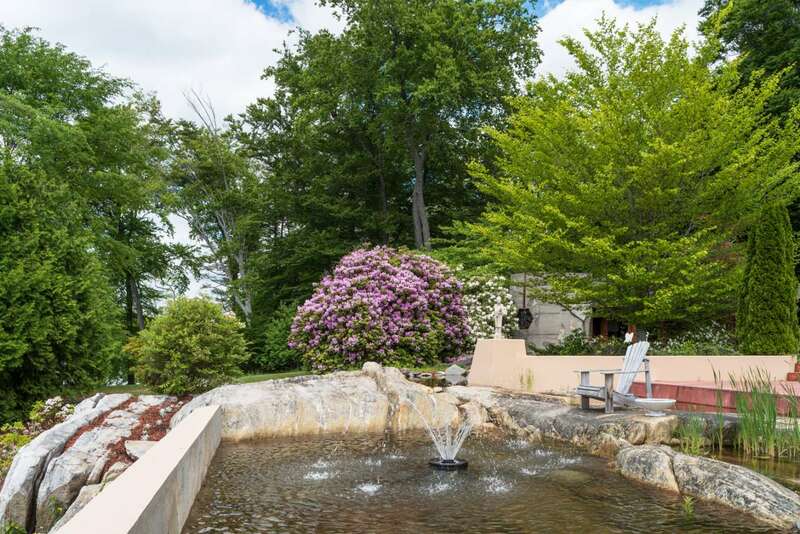 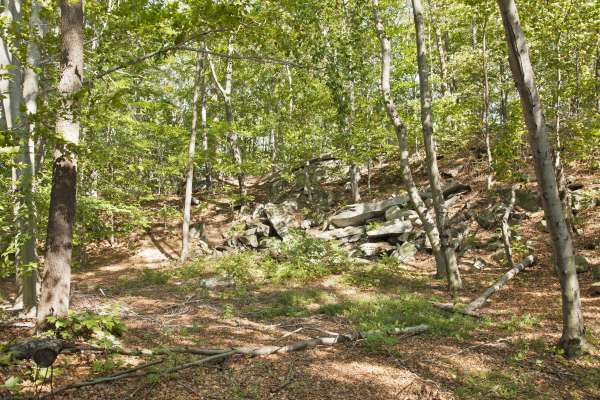 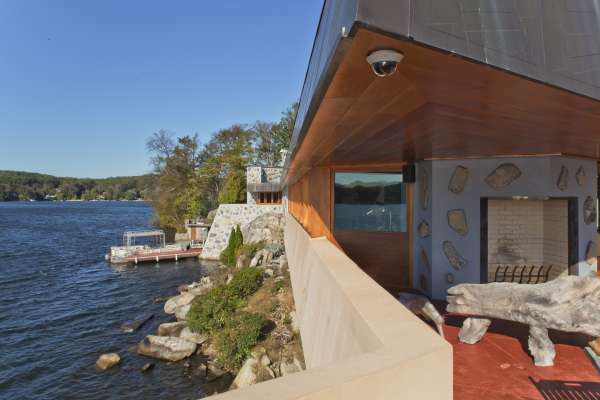 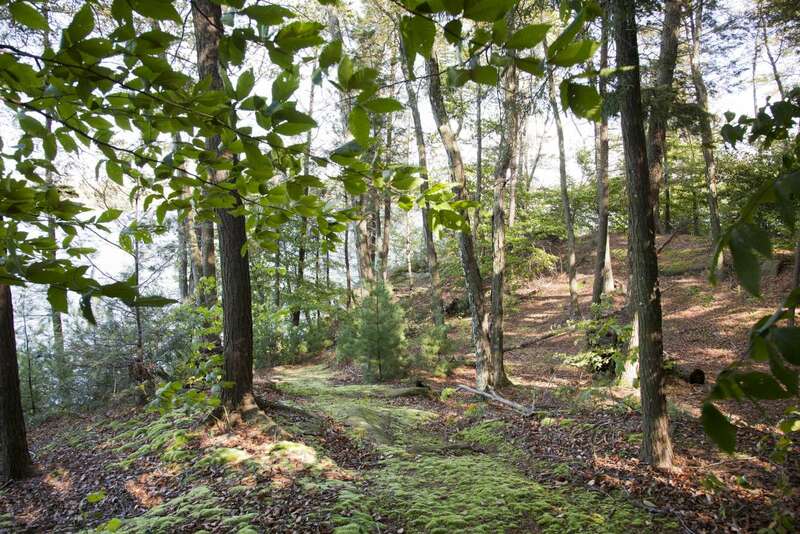 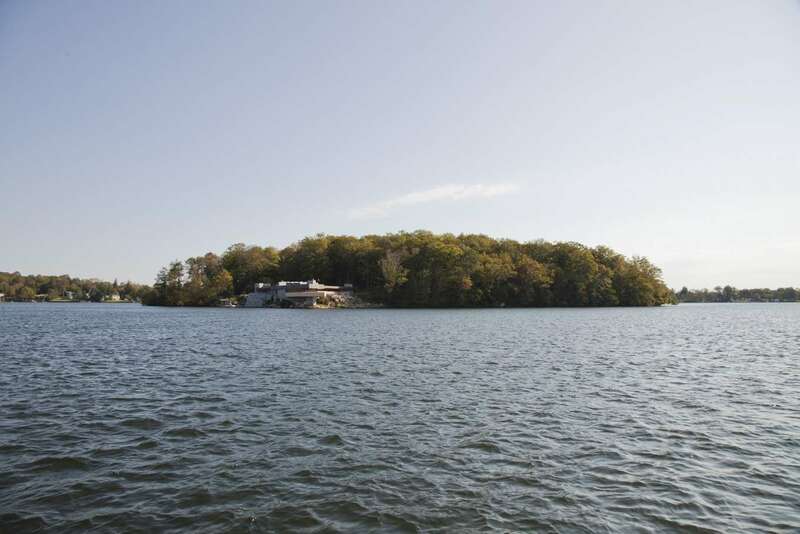 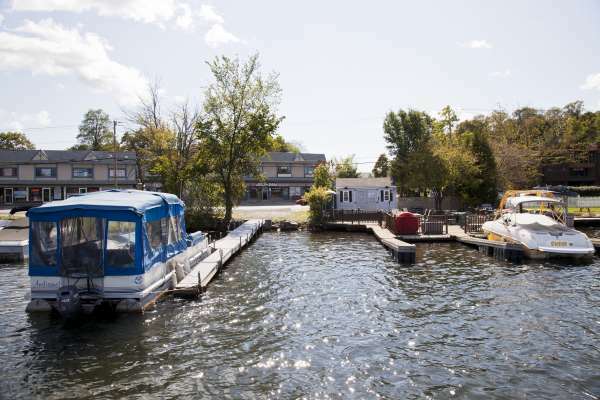 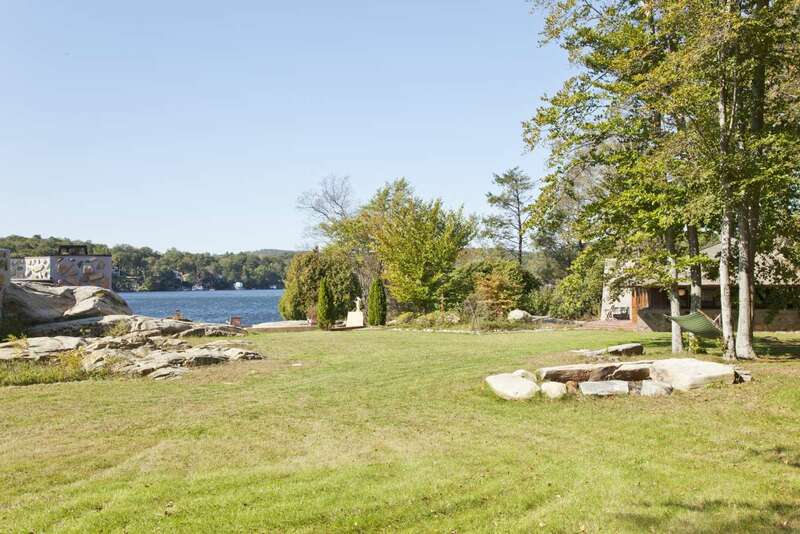 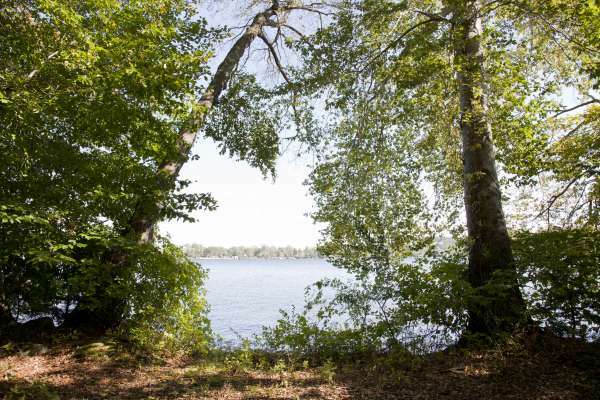 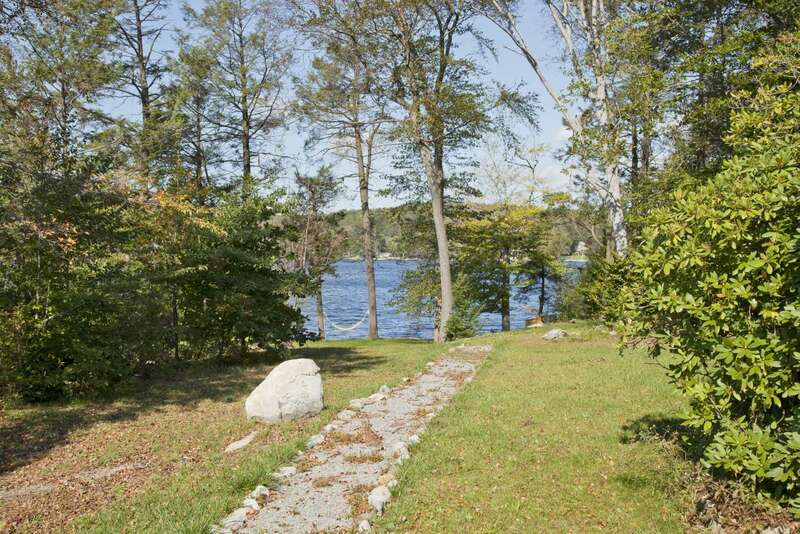 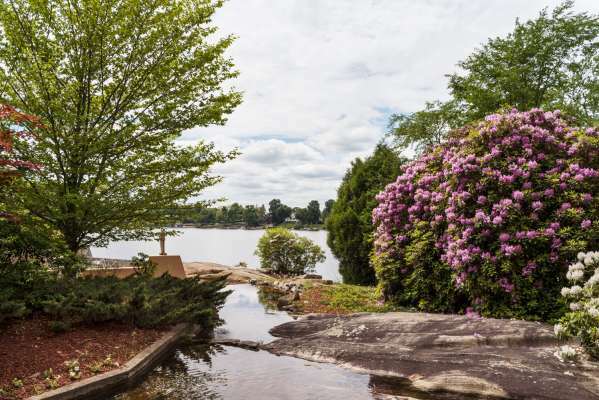 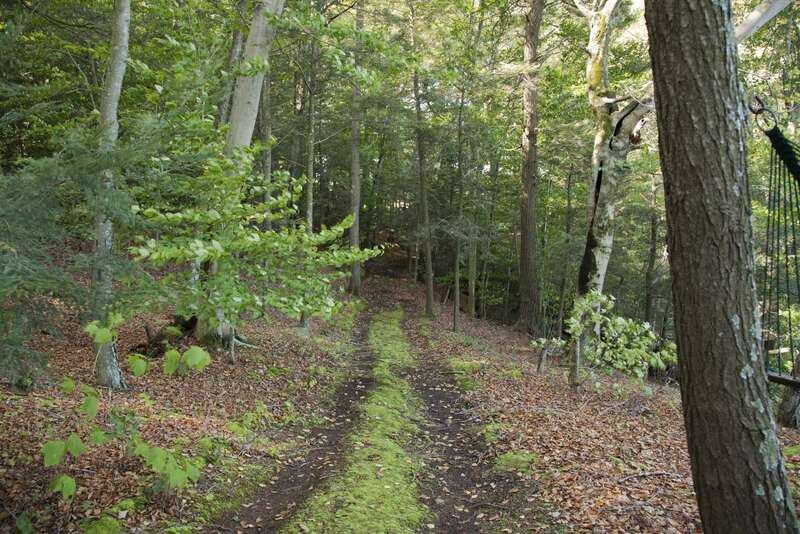 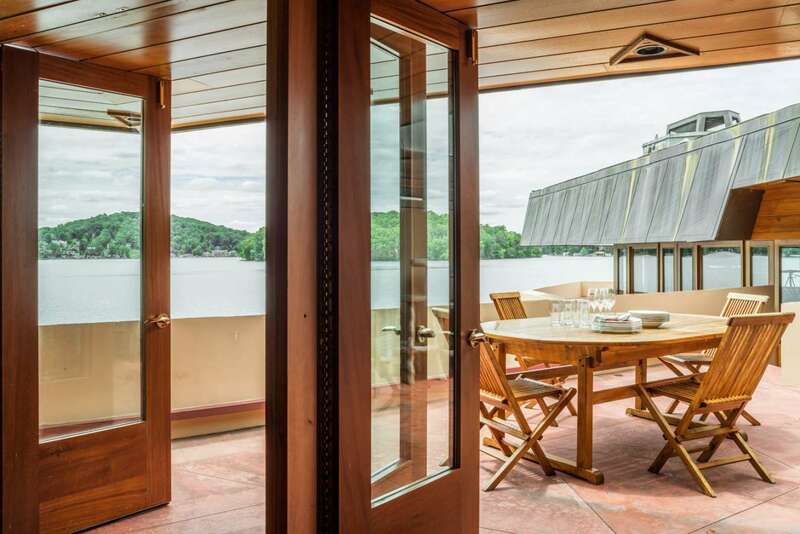 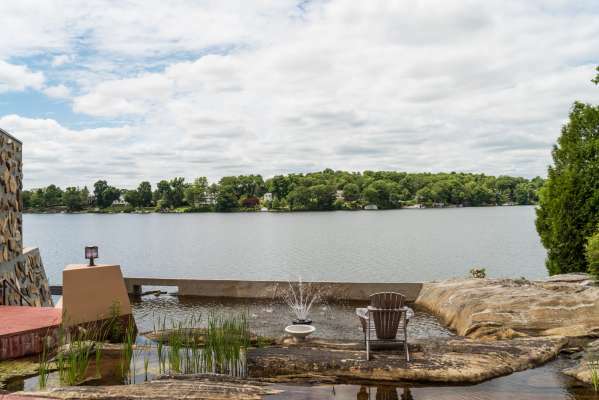 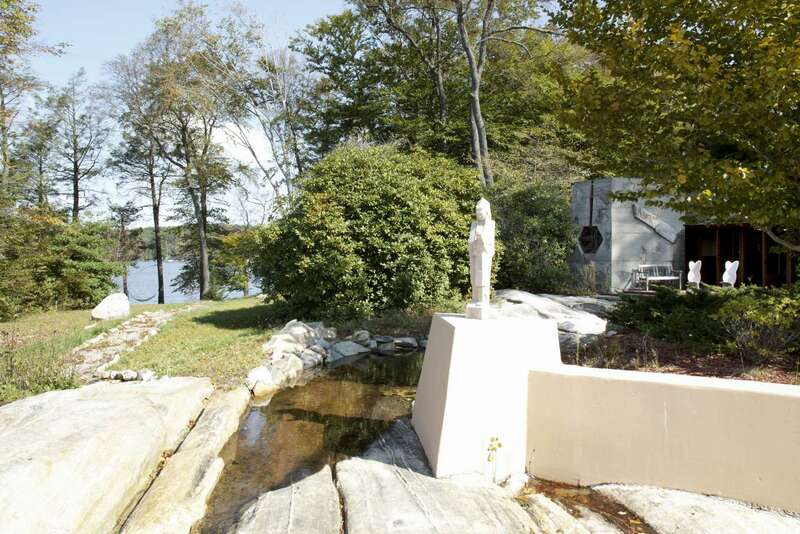 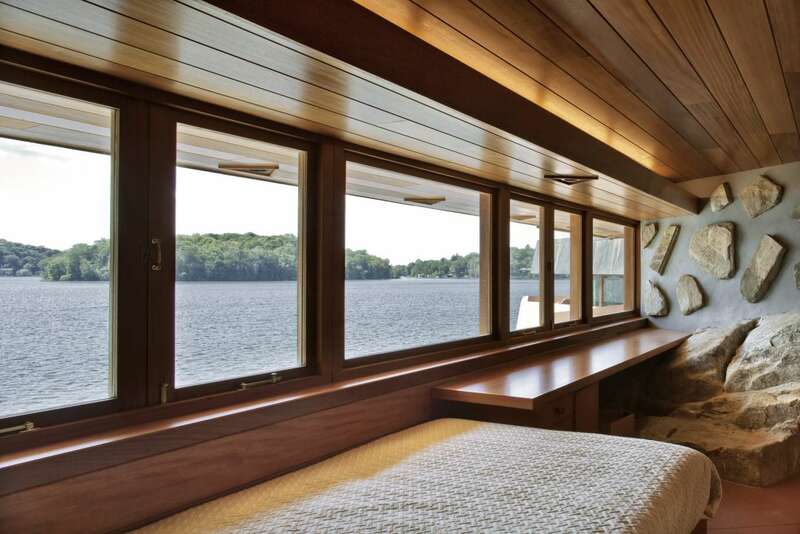 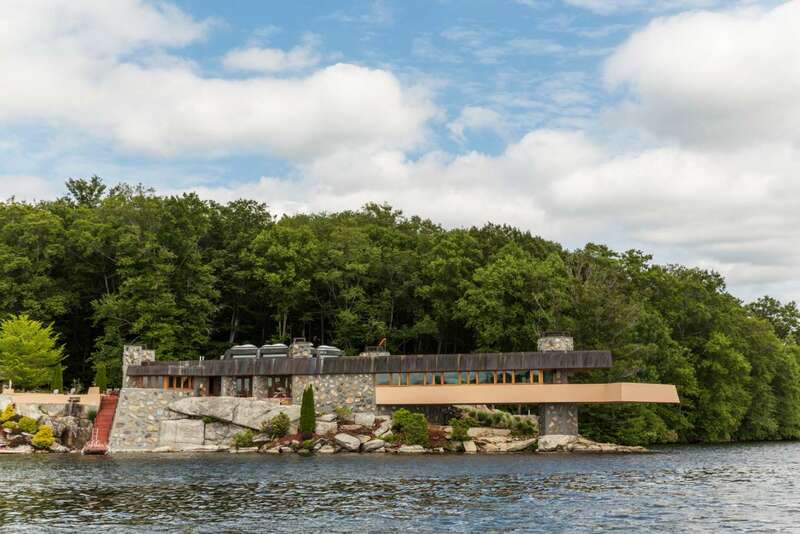 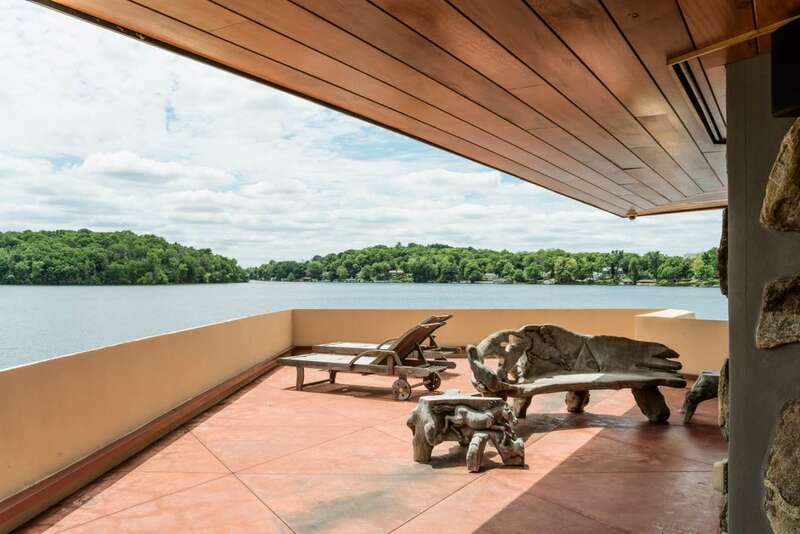 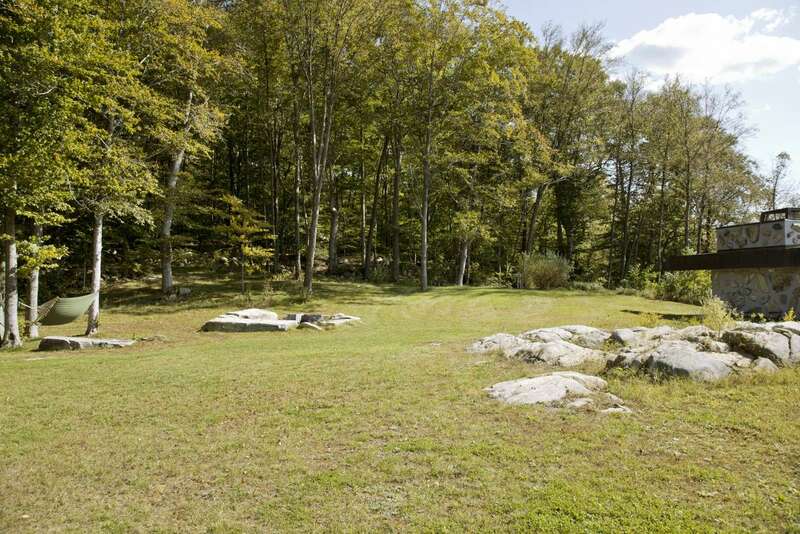 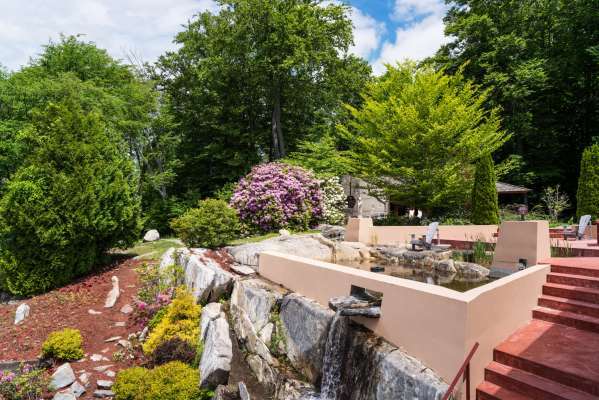 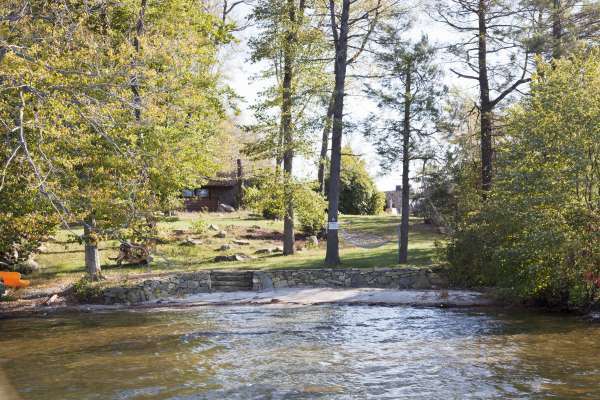 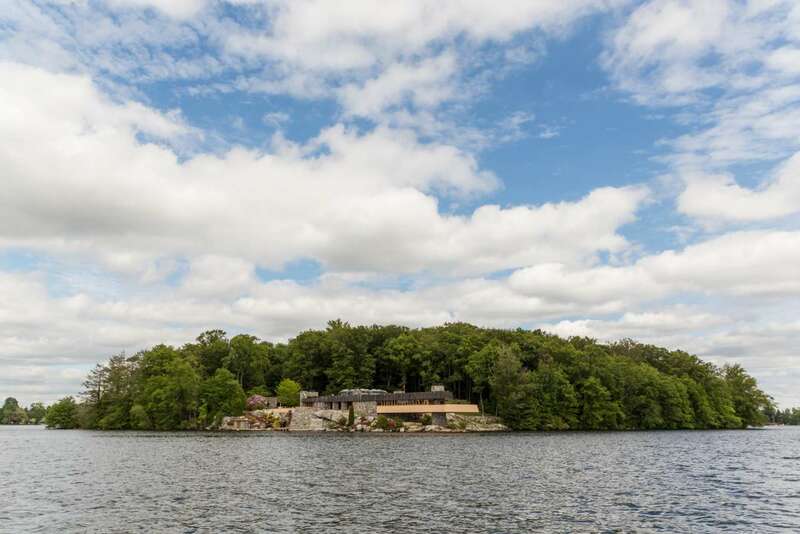 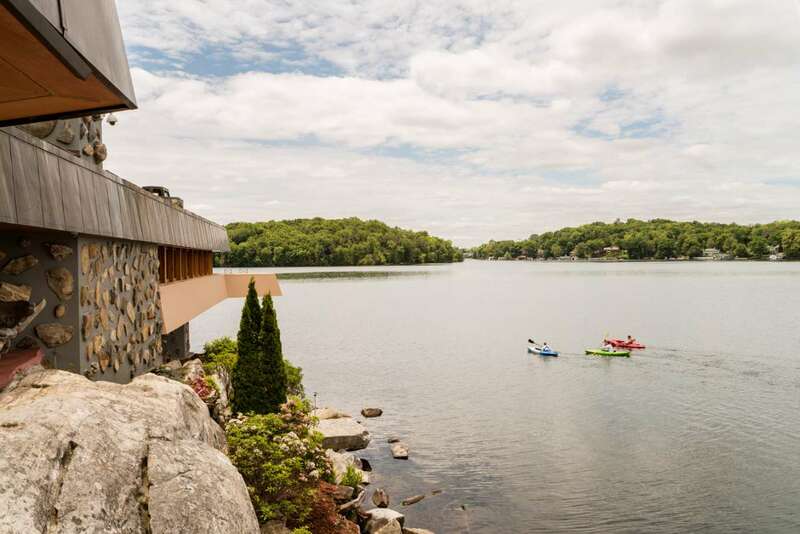 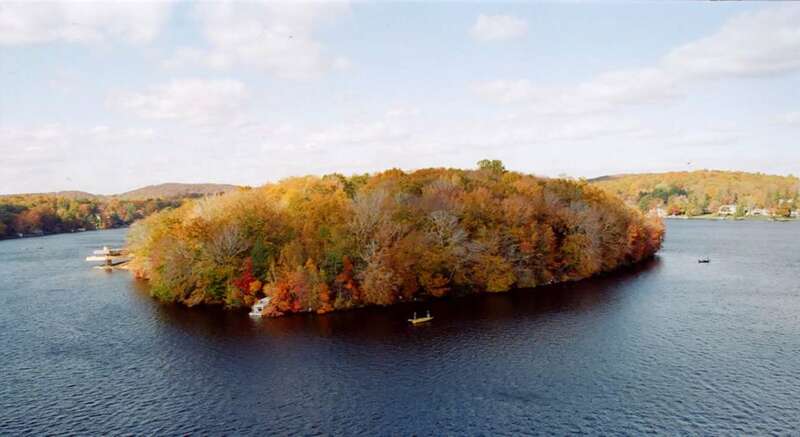 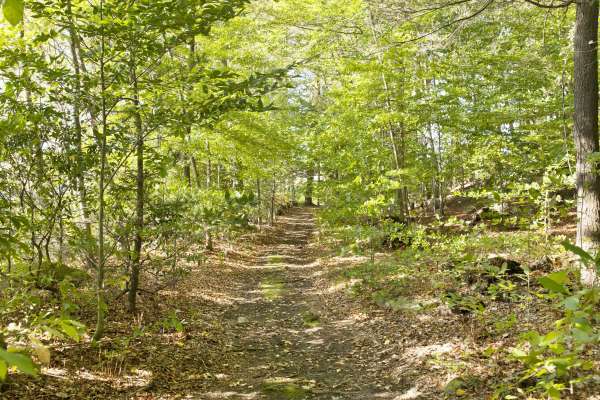 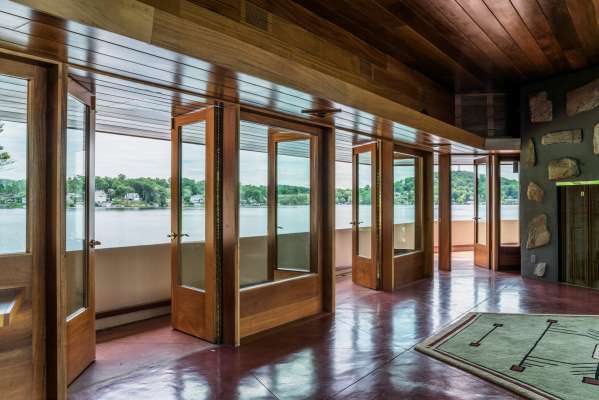 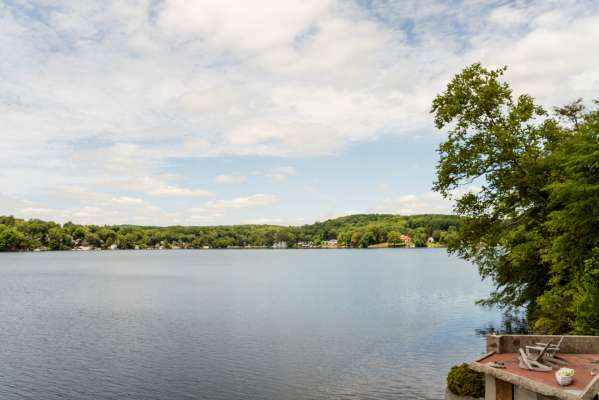 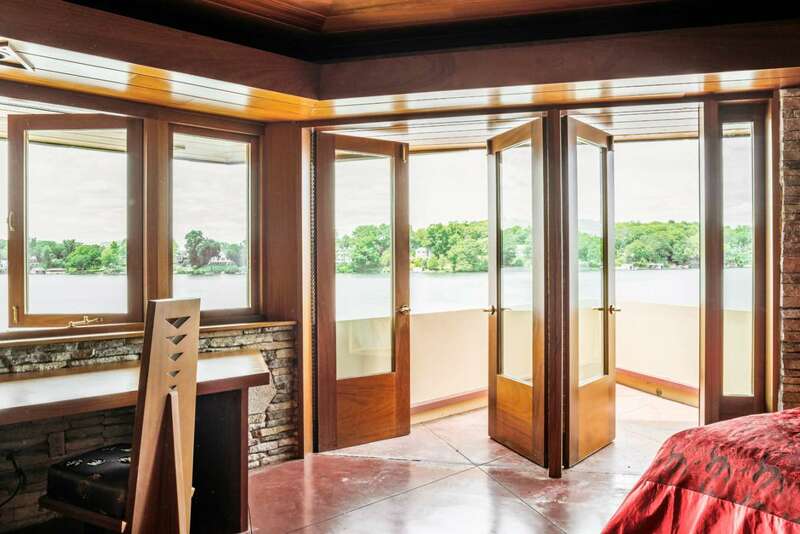 The island itself is 11 acres in size and is situated on New York's very private Lake Mahopac. 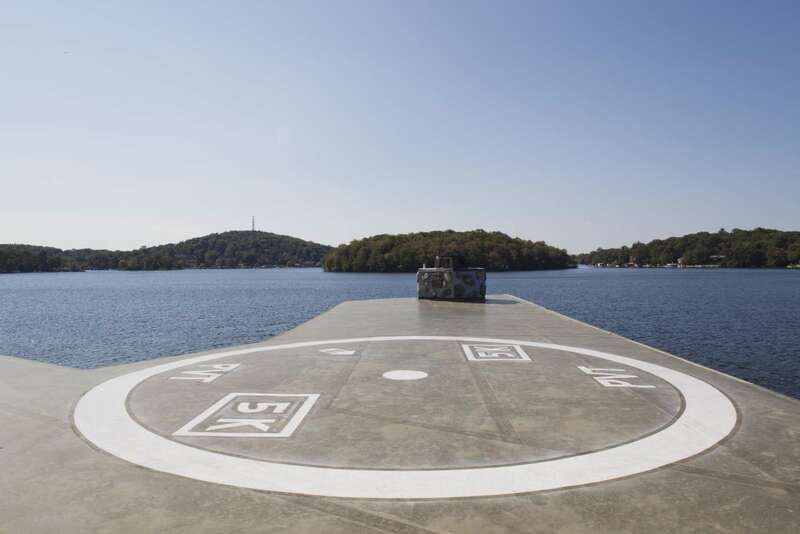 Petra Island has its own helicopter landing pad, and is of course accessible from the mainland by boat. 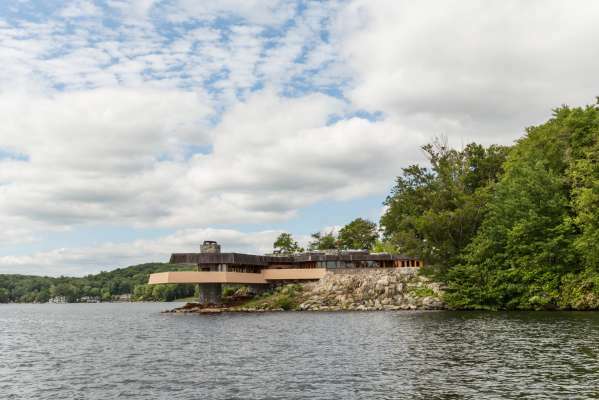 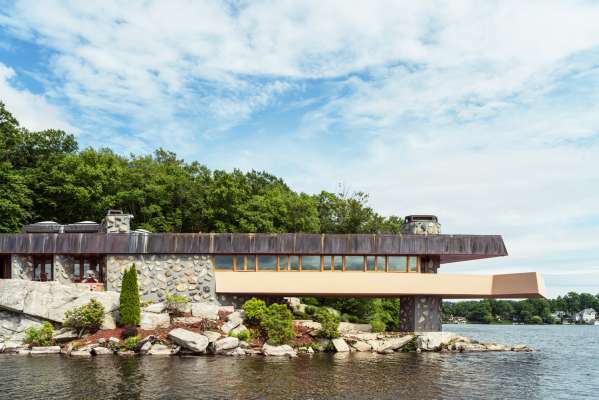 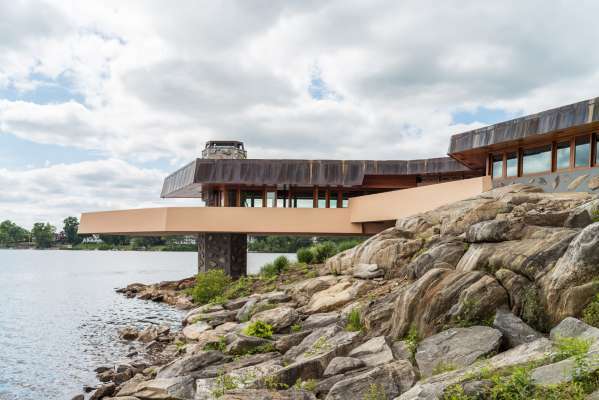 Two dwellings sit on the island - a 1,200-square-foot cottage, and a 5,000-square-foot main residence which is nothing short of an architectural masterpiece. 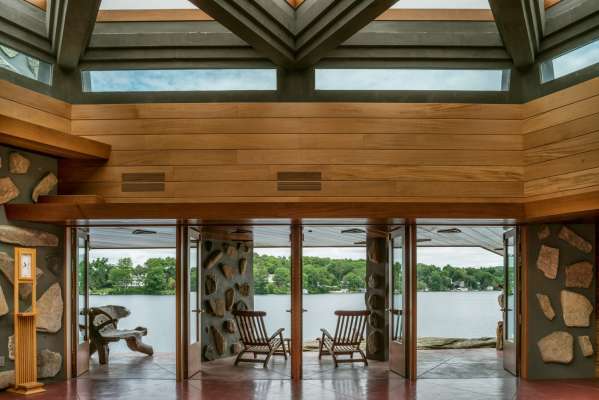 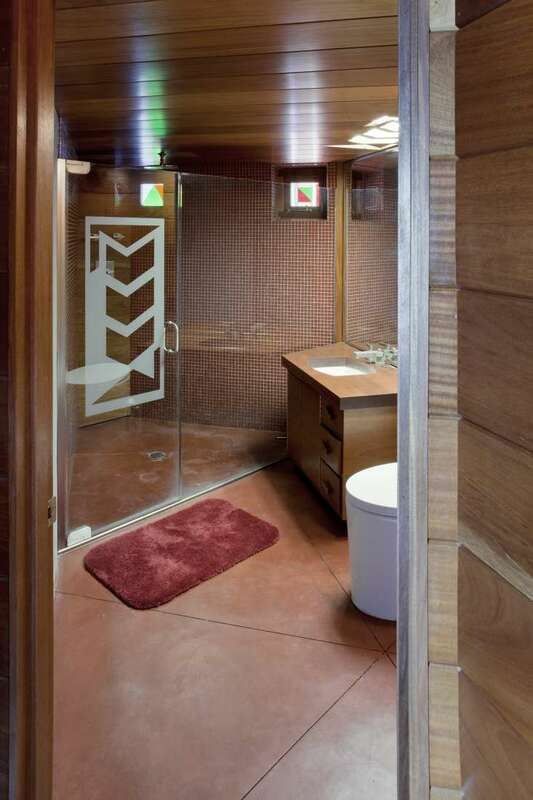 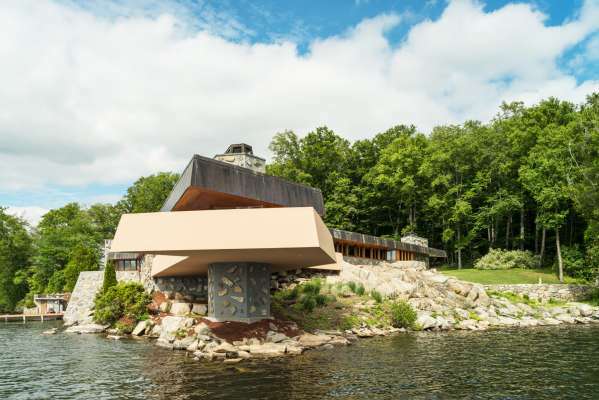 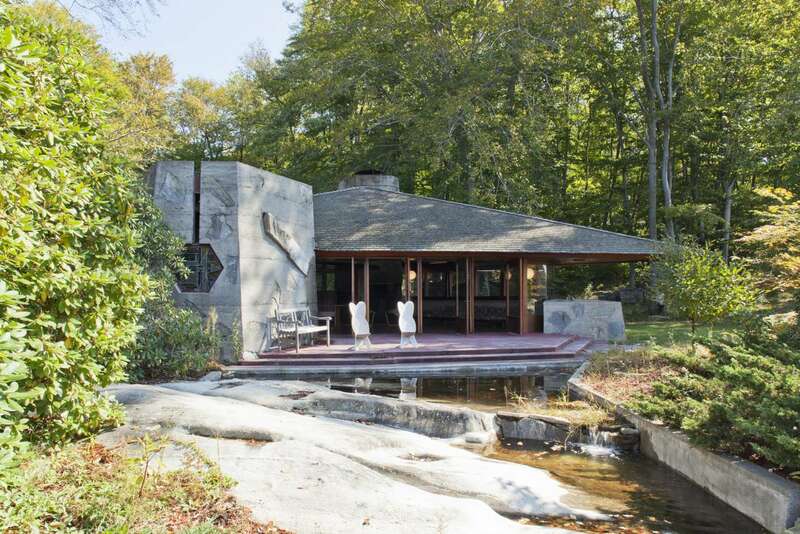 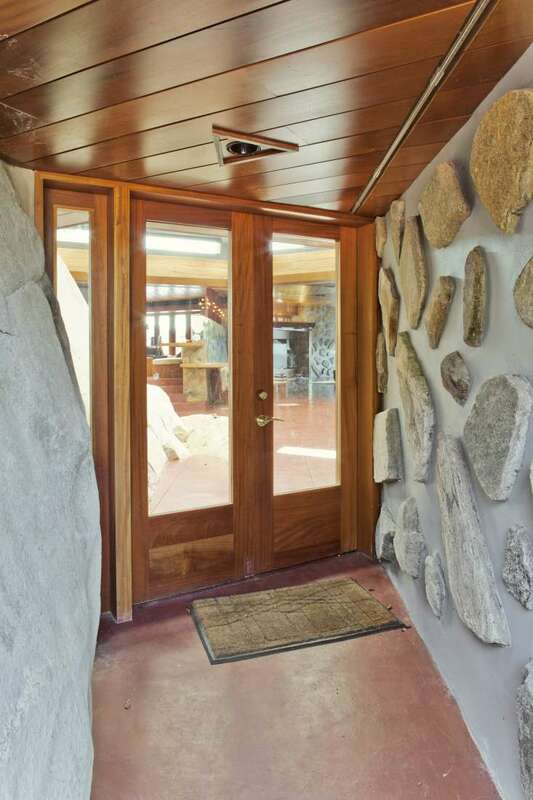 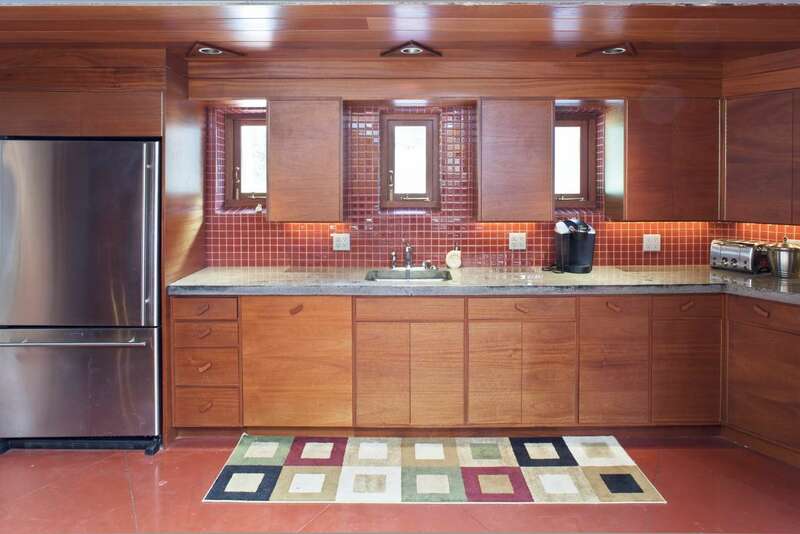 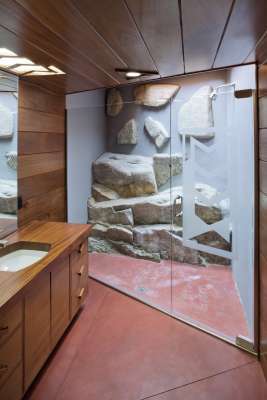 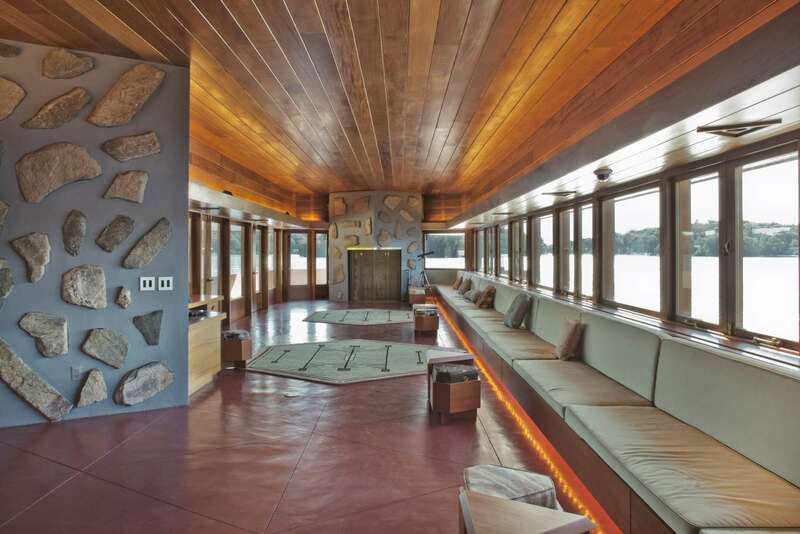 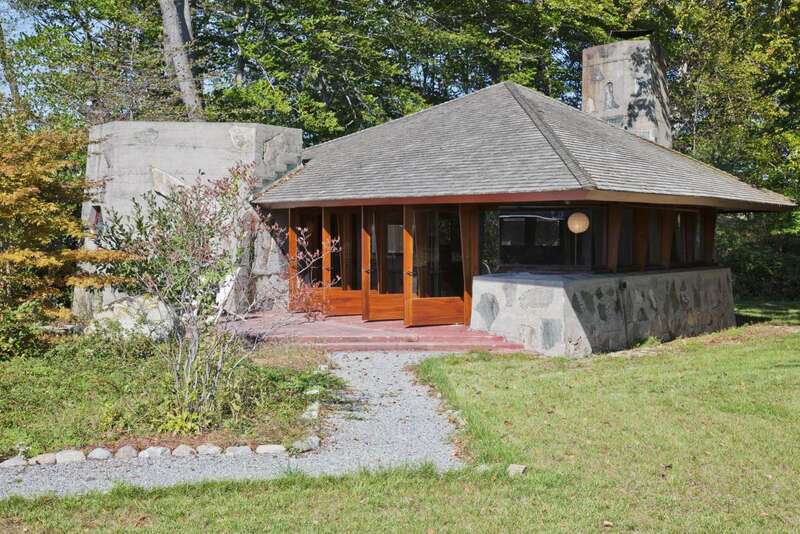 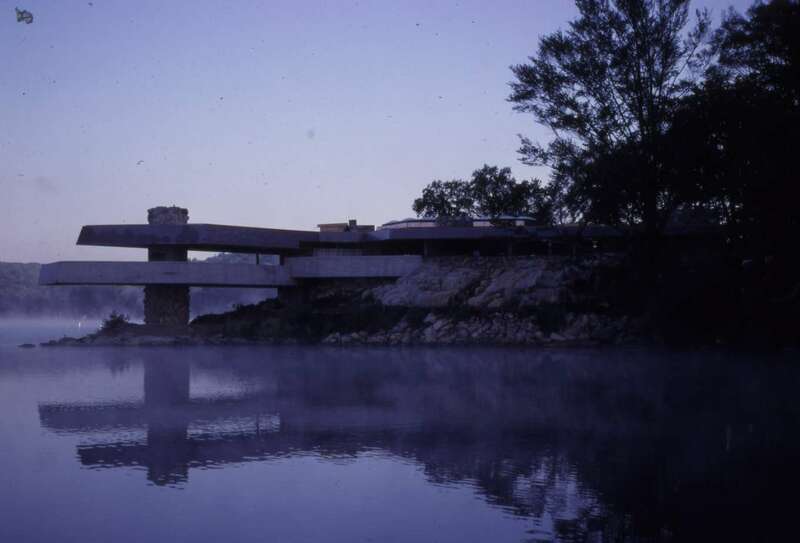 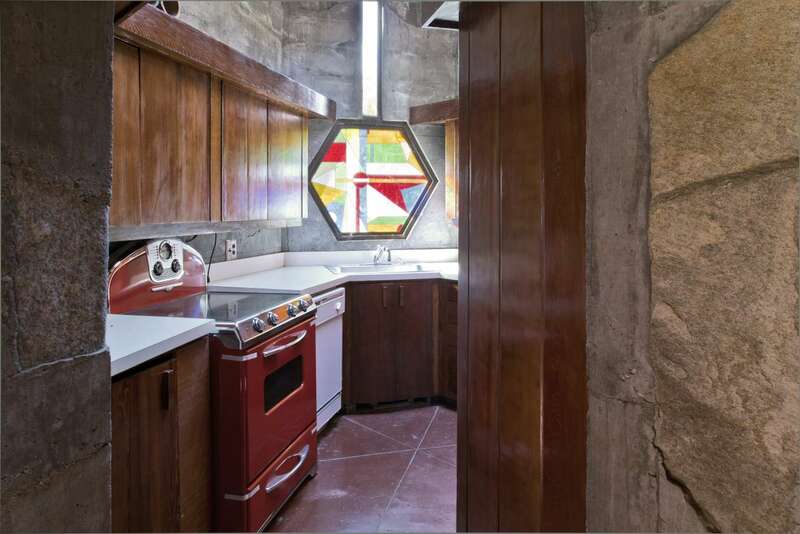 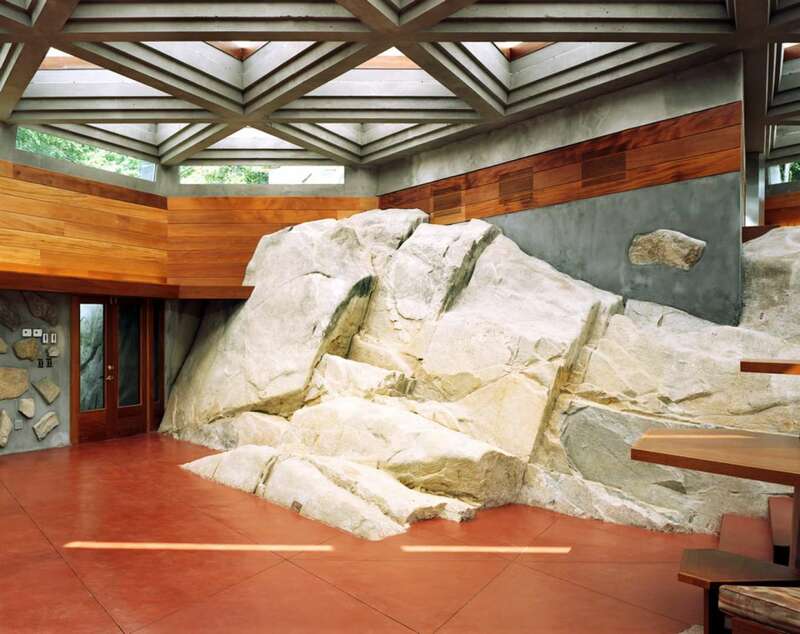 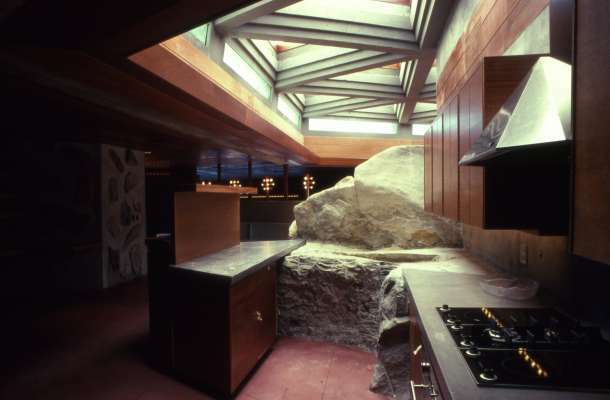 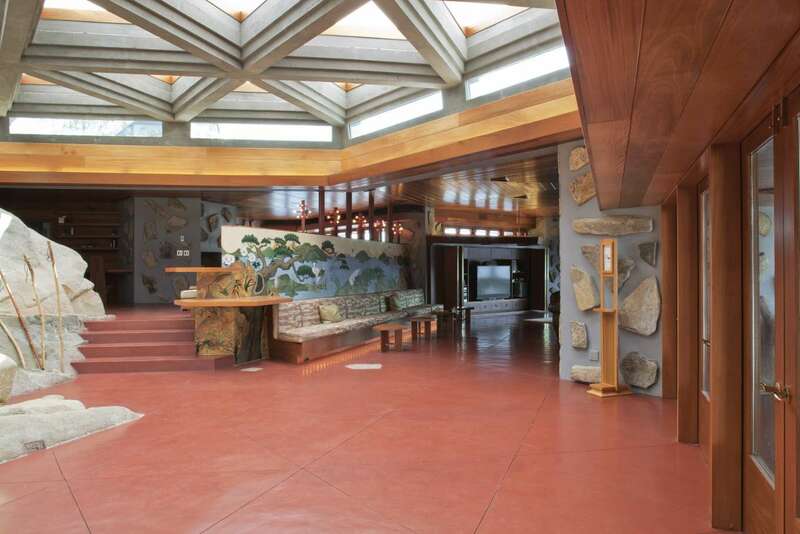 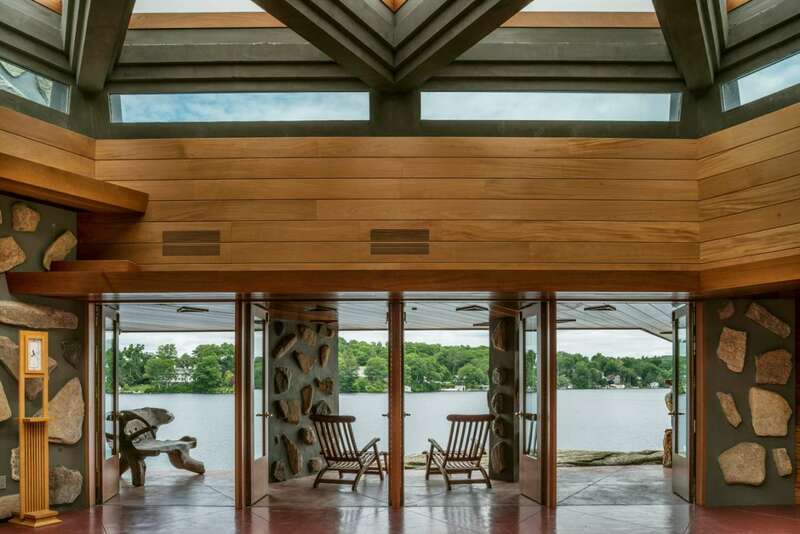 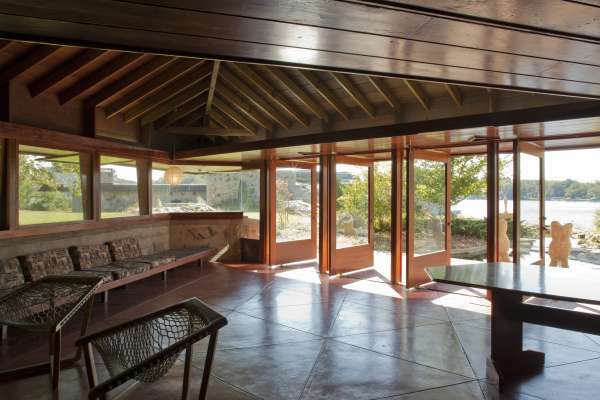 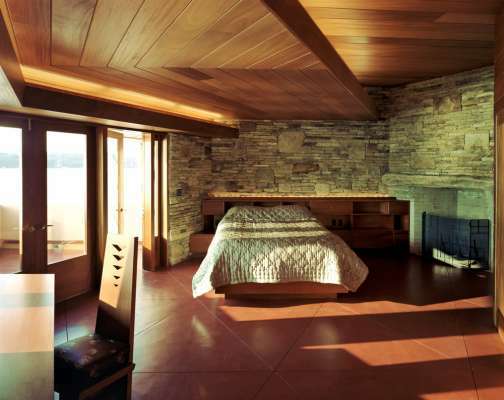 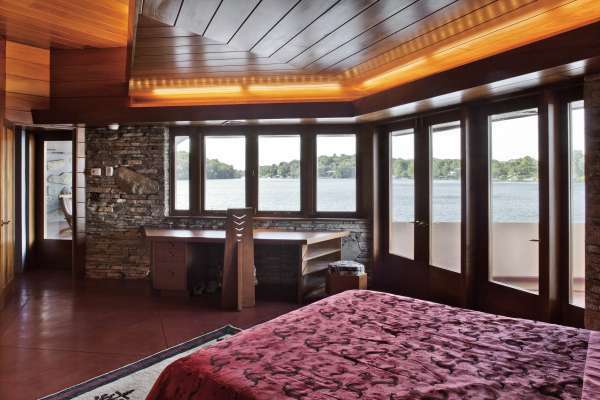 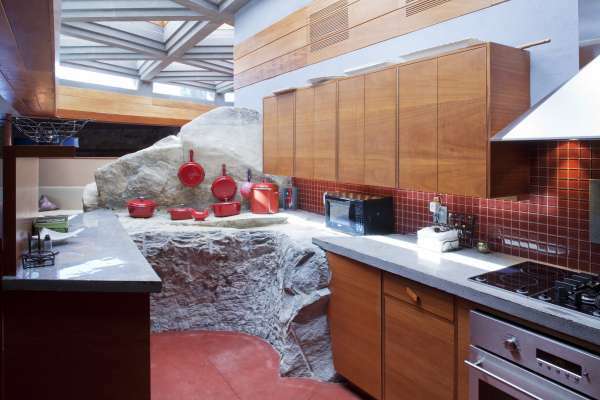 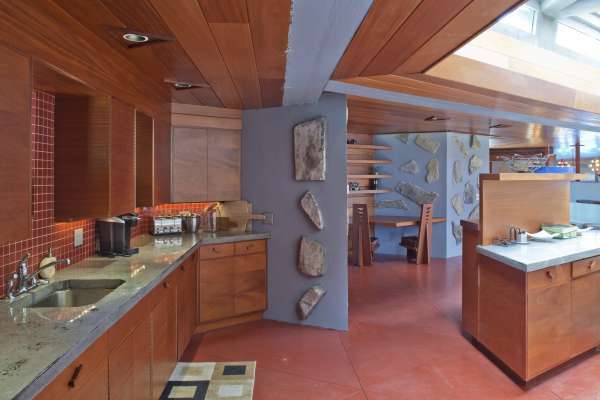 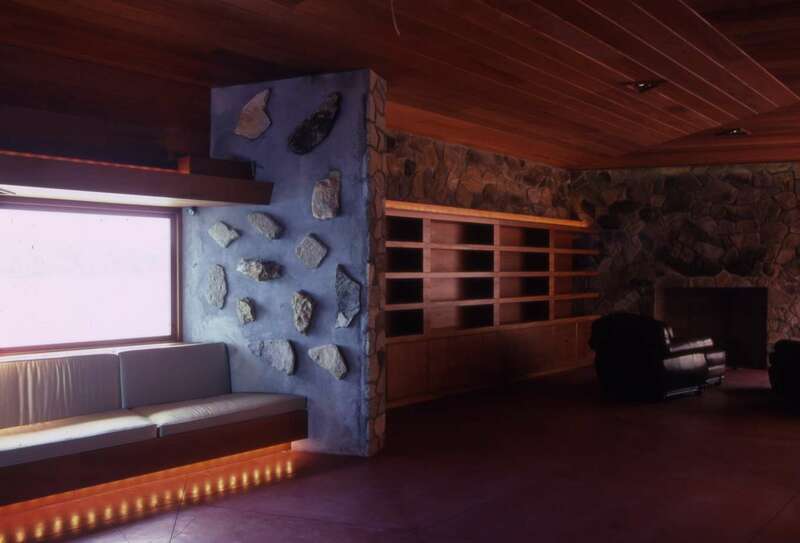 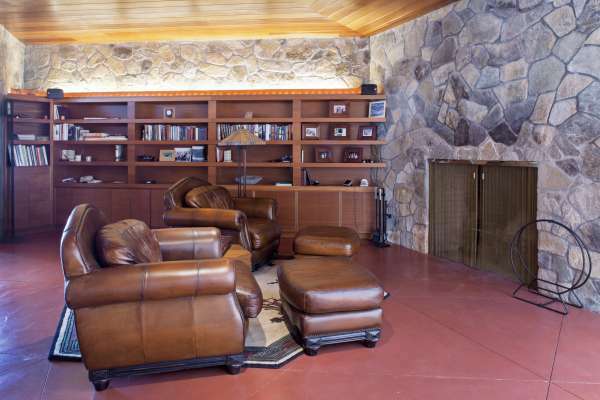 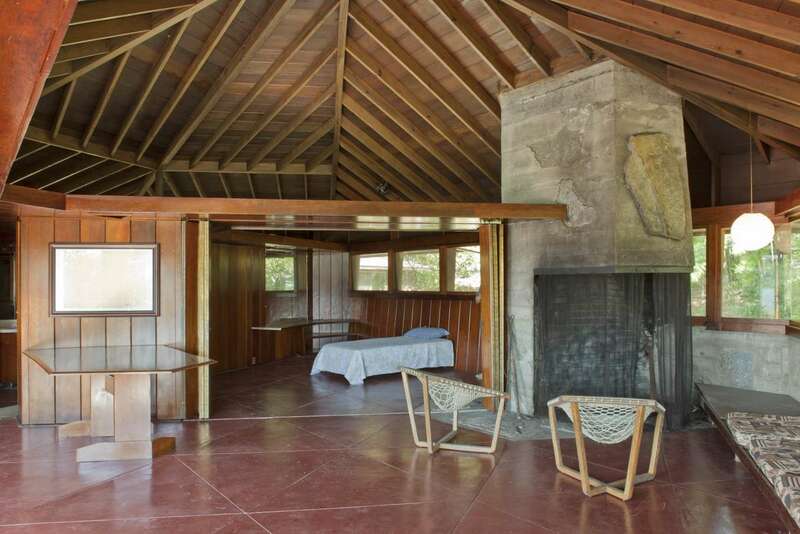 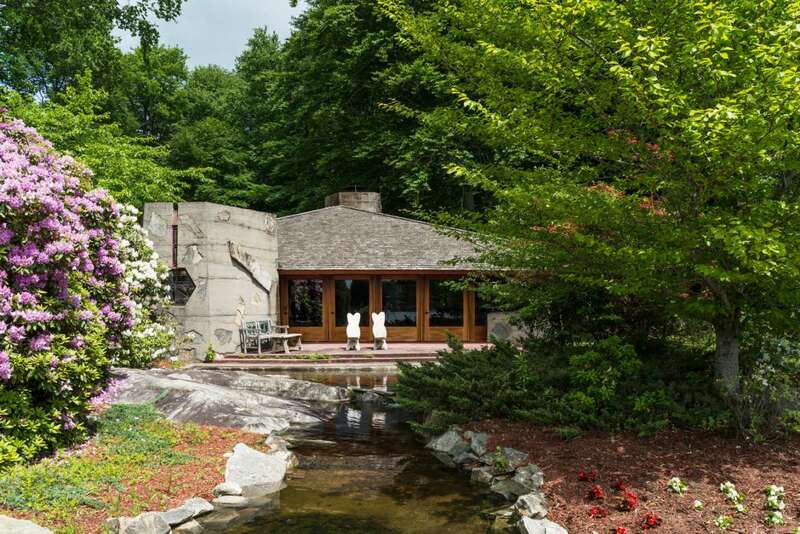 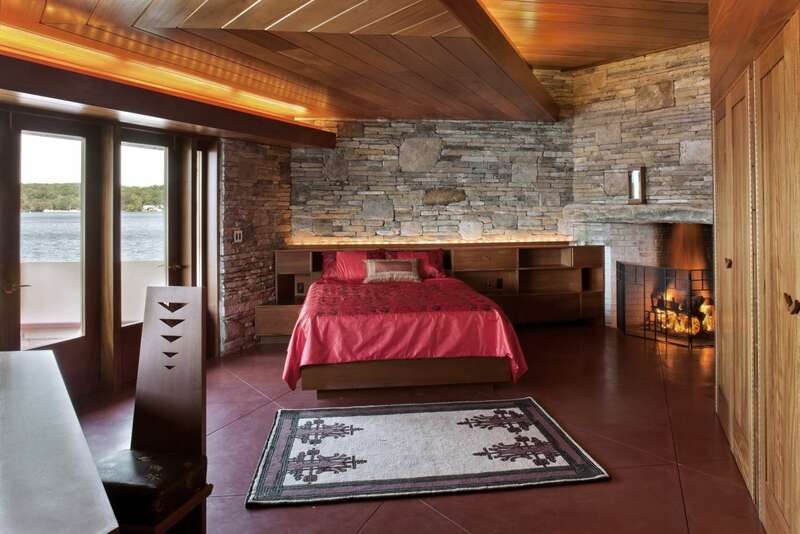 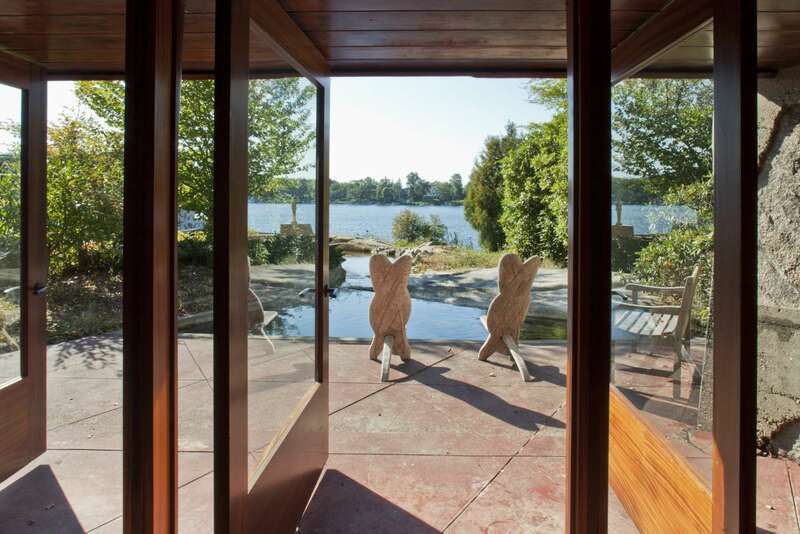 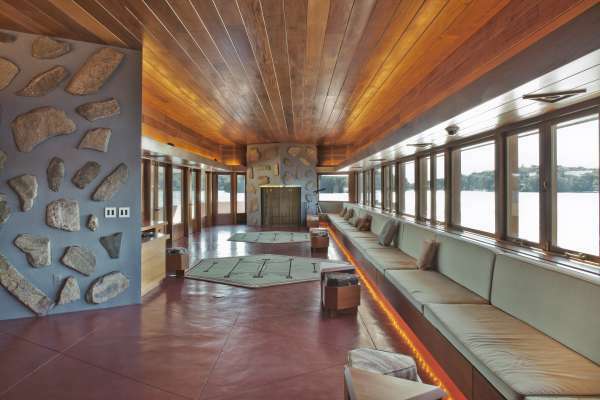 The cottage was designed by Frank Lloyd Wright and built in 1950. 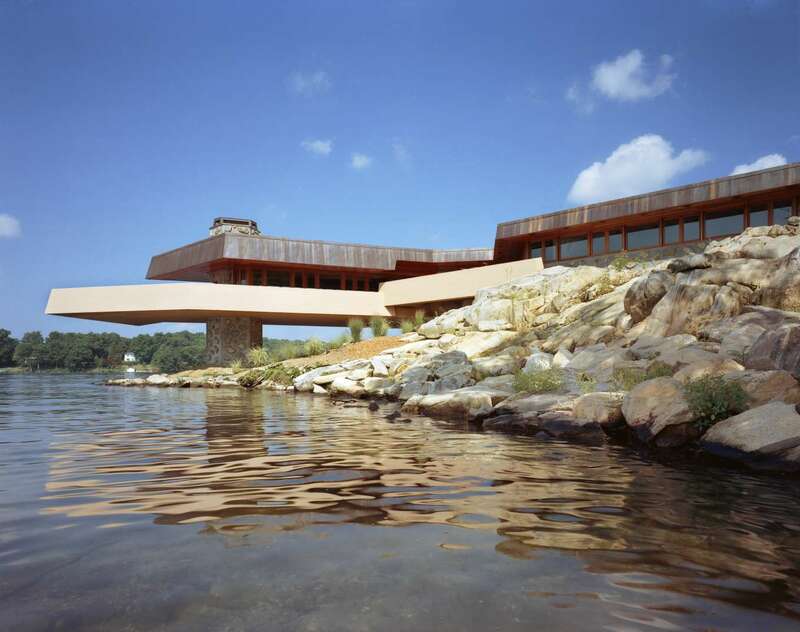 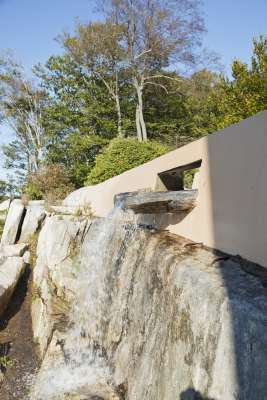 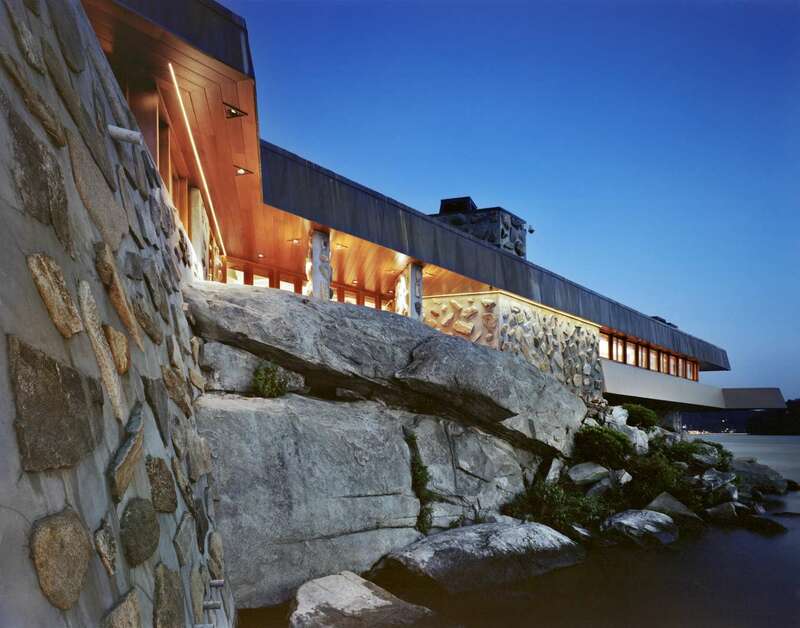 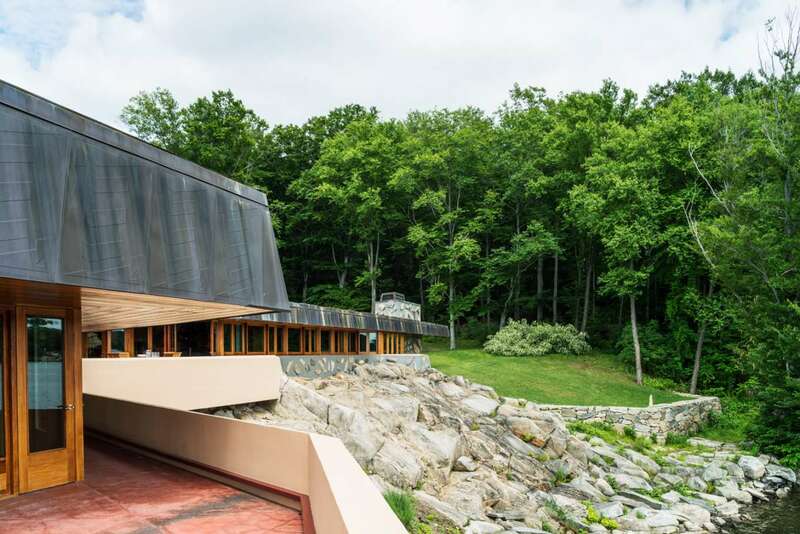 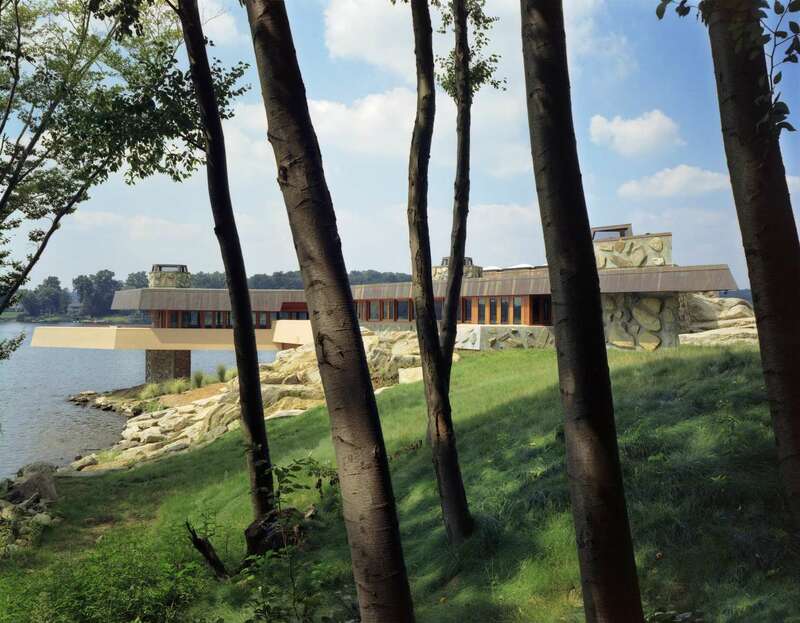 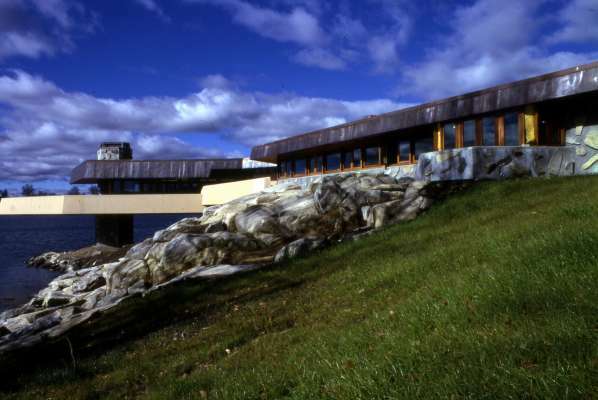 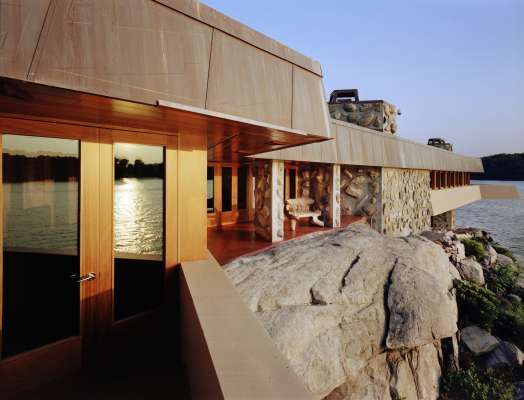 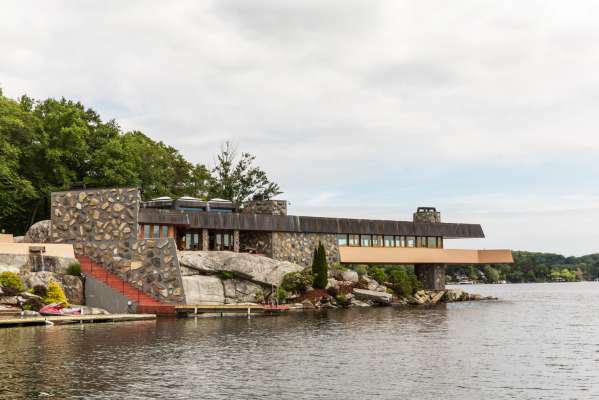 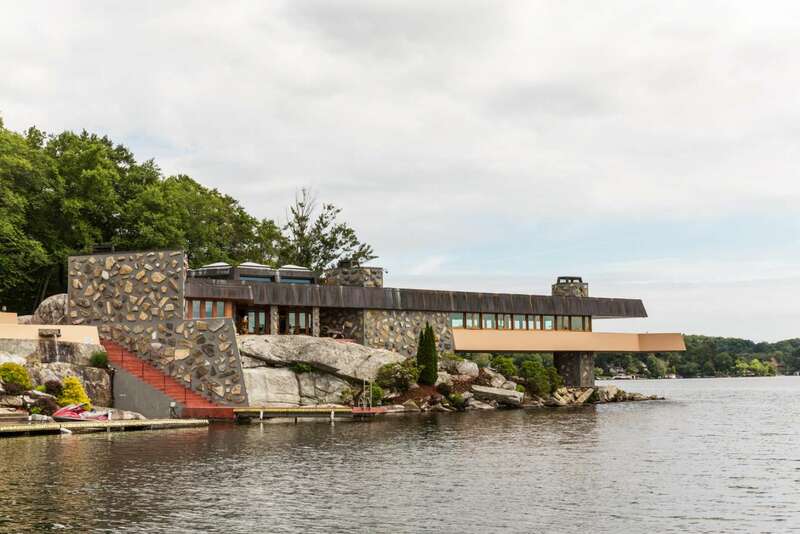 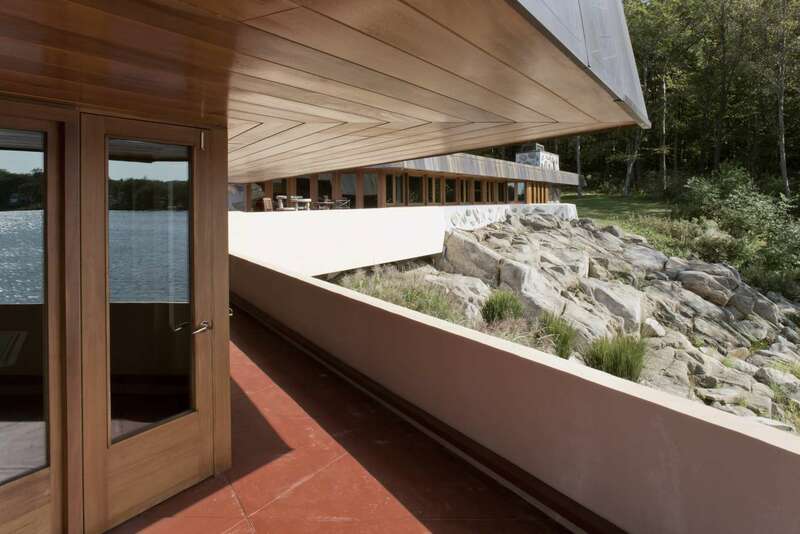 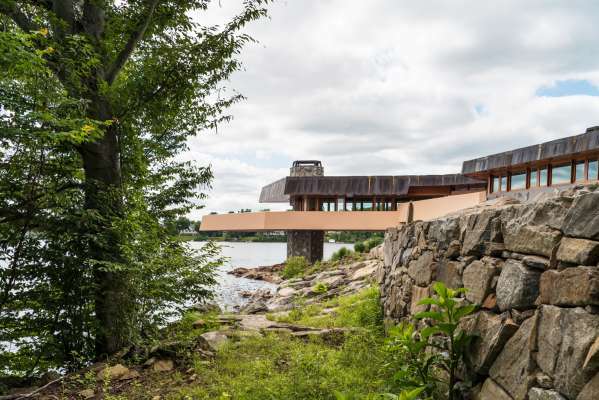 The main residence was built in 2008 from one of Wright's final plans, and is considered by some to be one of the most spectacular designs of his career. 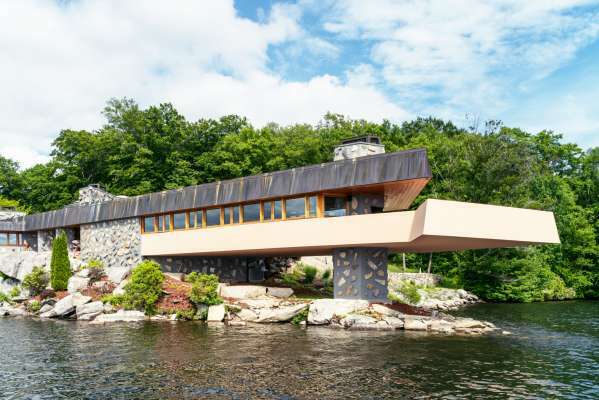 Boasting 1,500 square feet of skylights and vast expanses of stone, cement, and mahogany, the main residence is truly a triumph of modern architecture. Island properties such as this are rarely seen on the market - a must-see! This island is now also available for a one day or a week-end corporate or event retreat with the option to rent the cottage overnight for the CEO's or designated leaders of the event. Please inquire for more details.